I have been keeping this a secret for about a month now, but so glad that today it's finally been revealed that myself and four beautiful bloggers teamed up with SimplyBe for a festival-inspired photo shoot to celebrate the summer season and the fuller-figure. I adore SimplyBe and frequent their site on a daily basis -- the array of designers and styles appealing to my varying and every-changing tastes. It provided a fantastic opportunity to properly meet Callie, Stephanie, Allison and Lois. 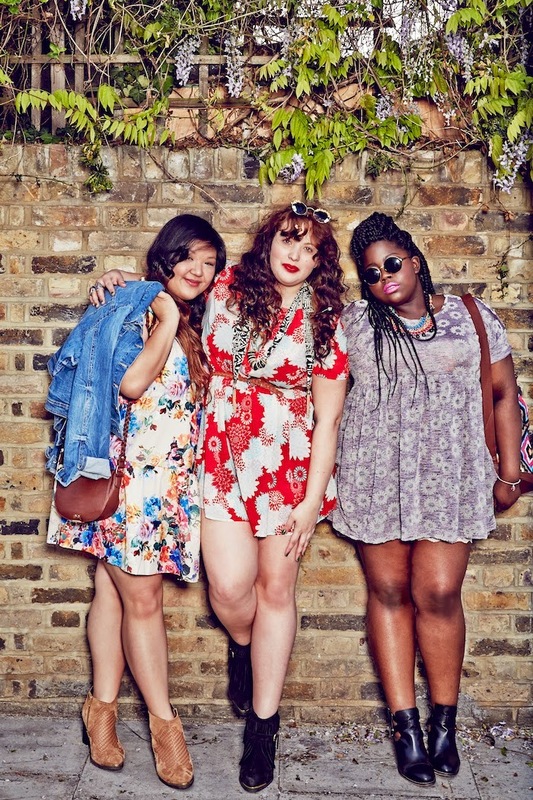 This is going to be my first year actually experiencing festivals and thoughts of "what to wear" had begun popping into my head right around when SimplyBe actually got in touch! The "Secret Garden Party" shoot took us to The Roost: a ridiculously breathtaking studio/event location in London. The house-turned-Alice-in-Wonderland-studio-type-thing is sort of my ideal home. I would have been happy to shoot in there all day, but for these festival-themes pictures, the outdoor gardens and decor were far more appropriate. I do still wish I could live in even just one of its many quirky, uniquely-themed bedrooms, but hey. This was my first multi-blogger shoot, and it couldn't have gone any better. Initially, I was worried. How could any photographer possibly get five women looking great in a single shot (and sure, at times I look a bit goofy)? There were some bumps along the way, but I'm personally happy with the final results. And happier still to have been able to meet some remarkably inspiring women. So exciting! Congratulations! I recognized you from the promo info from Simply Be, and I'm happy to see more photos from the shoot here on your blog. What an awesome opportunity! I love your styling with the flower crown, too. My favorite shot is the second one, the group shot, where you look all smiley and sunny. Such an inspiring shoot! Thank you! It was such a fun day. 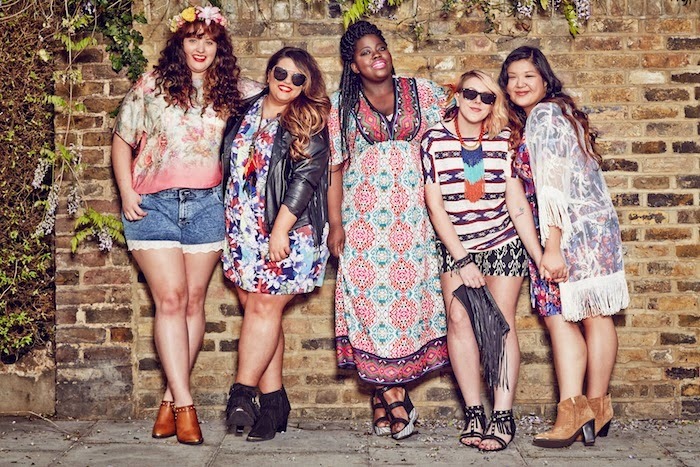 I love SimplyBe, and had followed a lot of the bloggers for ages but never had the chance to meet them. I think I look like a goofball in the group shot haha, but we were all so giggly that it was impossible to look too glam :p at least for me lol!